Robinson, Grimes blog: Want a raise? Asking for a raise is usually not easy, and is sometimes counterproductive. 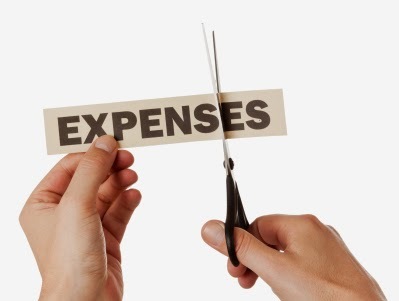 Think about cutting expenses instead. If you can resist spending money during the month you have effectively given yourself a raise. Depending on how much of a raise you want and how hard you are willing to work for it, you can find expenses to forego that will provide you that raise. For example, let’s consider aiming for a $1,200 raise. How much of your cable TV subscription do you really utilize? If you have an $80 package, could you cut it back to the basic cable $30 package? A gym membership for $20 per month is not much, but do you actually make use of your membership? Going out to eat one less time per month could easily save another $30 (at least). Add these together and you have saved $100 per month -- effectively giving yourself a $1,200 raise per year. Looking for more ways to give yourself a raise, here are 40 ways to reduce your monthly spending.